College plays an important role in our life. It can equip us the tools and knowledge we need to do better in life and not just barely making it. It offers intense battlefield for our minds, and we are not only tested mentally but also, emotionally, physically and spiritually. A Facebook user named Vinzl Vincente faced all the challenges in her life. She experienced many ups and downs, trials and tribulations, heartbreak surprises in her college days but she proves to everyone that she can surpass everything life throws at her. Vinzl went viral on the Internet and earned praises from numerous online users who saw her post about her college experience. Vinzl was a young mother to her daughter named Vianca Veinz. 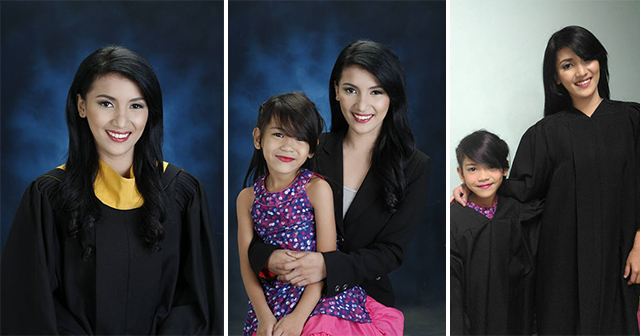 She gave birth to her gorgeous daughter at a young age, but she proved to everyone that it was not a hindrance for her study since she still able to finish college. However, this was never easy for Vinzl as she was studying while babysitting. She carries her child to her class every day, and we all know that college life is a tough one. 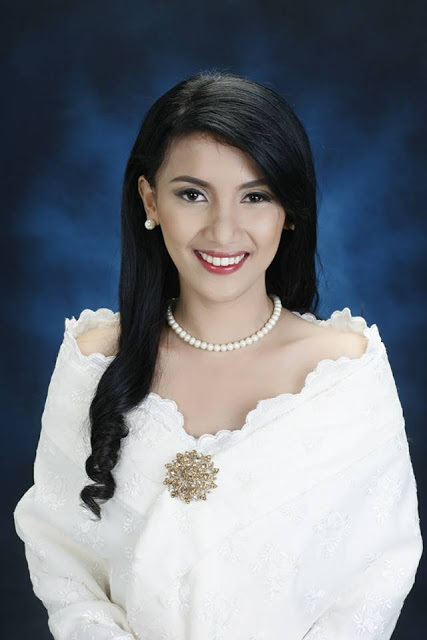 Despite all her difficulties, she still showed us perseverance and still managed to finish her course and graduate. According to Vinzl post, she has to bring her daughter to her school since her partner, Victor Aquino, opted to work to support their needs and her studies. It was not easy for them, especially for their child. One time, Vinzl had to wake her daughter up at 7:00 in the morning to come with her to school, but her daughter was crying and said, “Ayoko na mommy, pagod na ako”. 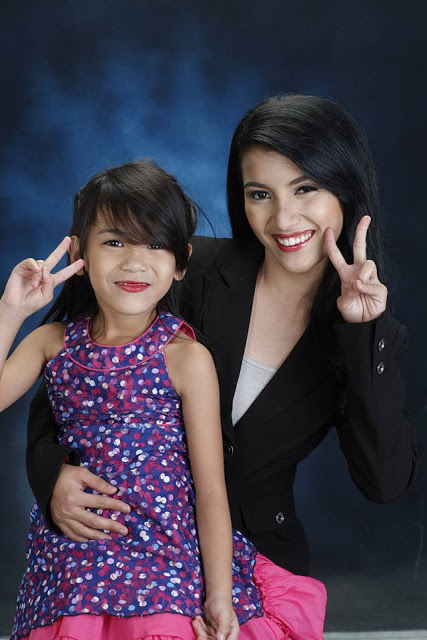 But despite all the challenges Vinzl faced, she is thankful for having a daughter like Vianca. She always cheers her up and supports her during classes as she said, “Naiiyak ako pag naiisip ko lahat ng yun.. pero swerte ako kasi ako lang ata ang kolehiyalang may bitbit lagi na lucky charm”. Vinzl also added, “Yung sau ko binabanggit lahat ng nirereview ko na sabi mo para akong loka loka hahah, yung every p.e class ko ako lang yung bukod tanging may cheerer “GO MOMMY” haha yung ikaw lagi kong ipang pofront sa mga professors ko kapag may ipapasuyo ako, yung ikaw lagi naming laruan sa skul kapag nabobore, at yung ikaw lagi nagsasabi skin na ang galing galing ko kpag sinasabitan ako ng medalya. Na dahil sayo pinipilit ko hindi maalis sa deans lister”. As of now, Vinzl post already garnered 35,000 likes, 7,685 shares and numerous praises from other people. Vinzl’s story proved us that hard work and perseverance, in the end, are all worth it.